You can easily see what’s been billed and what has not yet been billed. You can see how much has been billed within set time periods and how much should be billed. You can see if you have billed your clients for projects and work done. You can place in comments for what you want on the invoice or let your book keeper work it out from the time records. 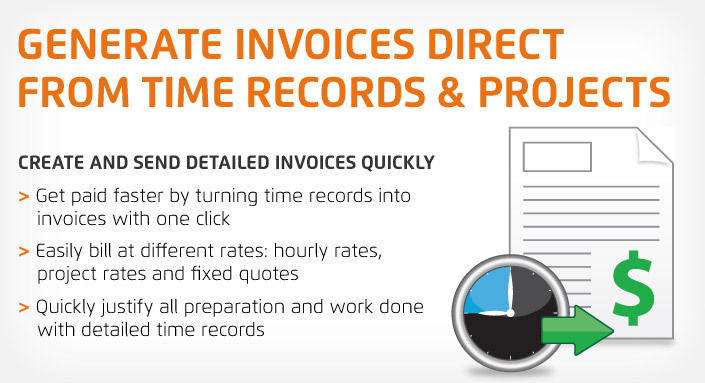 Your book-keeper can tag what has been invoiced with an invoice number and you now know its been billed. Simple colour coding gives you instant recognition of what has been flagged to be invoiced and what has been invoiced. Retire your old, out of date accounting software and move to the cloud where you can access your information at any time, from anywhere.